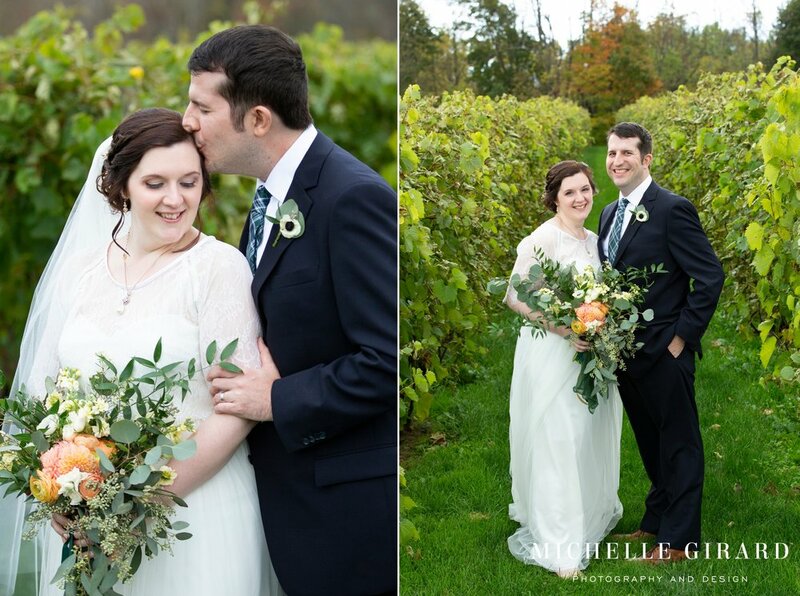 Nicholas and Karen’s gorgeous Fall vineyard wedding had so many great, personal touches. Their friends and family were a part of bringing it all together in various ways that really added to the beauty and they story of day. Nicholas' mother made the cakes that were displayed on a variety of dessert pedestals and his aunt put together the floral arrangements, including the hoops decorated with flowers that each bridesmaid held. Nicholas and Karen made their strawberry jam wedding favors with the help of two bridesmaids. Those jars came with the added fun of Karen singing "Oh hot damn, this is our jam" while making them and, I have to admit, I was also singing that in my head while photographing them on Saturday! A friend of Karen’s made aspects of her wedding day attire and Karen's aunt made a purse out of pieces of Karen's grandmother's wedding dress. That purse was also her ‘something blue’ with a light blue lining on the inside of it. Karen even made a lot of the reception decor herself! And to top it all off, these two went with a less traditional music option for their reception that spoke more to them. They had an Irish rock band, The Causeway Giants, playing as the floor literally shook from all of the jumping and dancing! 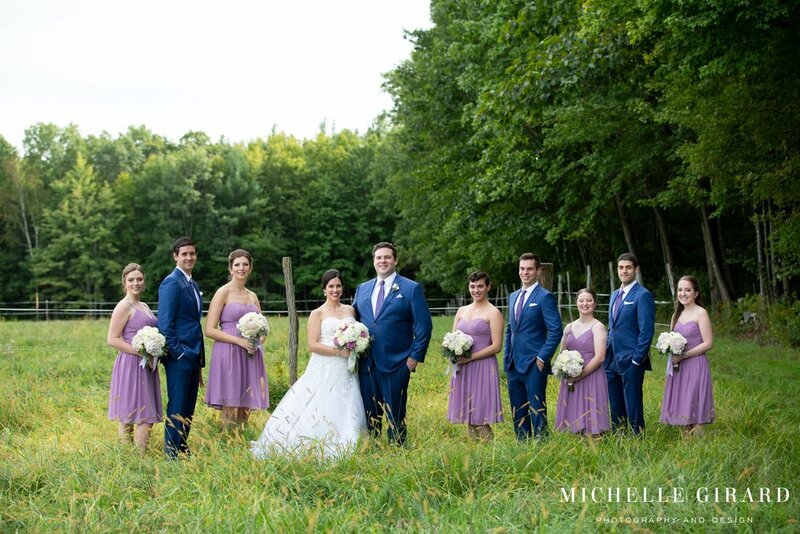 Even with all of these great details, the most notable part of this wedding was Karen and Nicholas themselves. I know what you may be thinking.. “Obviously the bride and groom are notable!” But these two rank as two of the sweetest people I know. I dare you to spend time with them and not walk away smiling. They are thoughtful and just a lot of fun to be around.. I mentioned that dance floor bouncing right?! It just feels good to see two genuinely beautiful people who have found each other get married. It’s a sentiment that you could feel throughout the day during group portraits, in their ceremony, during the toasts, and the way people were there for them, like all those details above. And even seeing as many weddings as I do.. I get a bit teary eyed thinking about it now. So.. Congratulations Karen and Nicholas! I only have a mug of tea in front of me at the moment, but I’m raising my glass to you two. To your love and the love that you so obviously inspire. Sunday was a perfect Fall day. It was crisp but not cold. The sun was shining and leaves floated down from the tree tops. 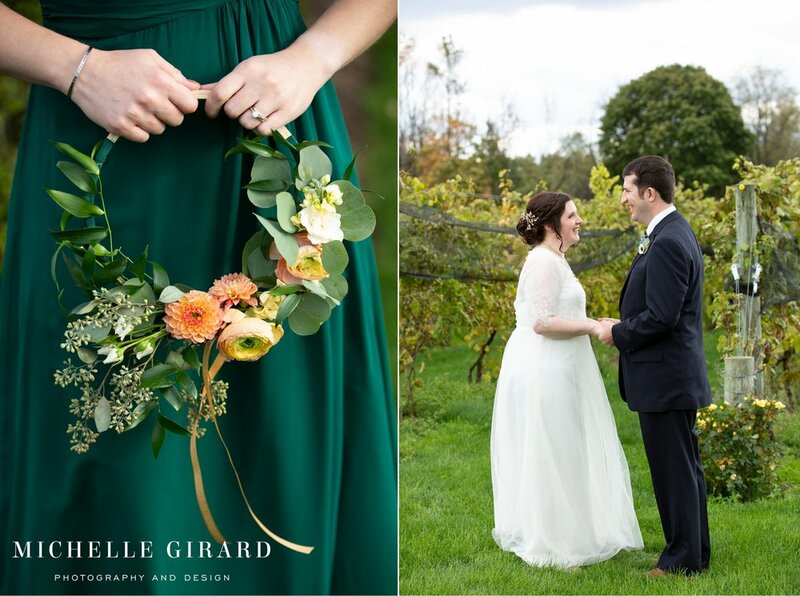 It was one of those perfect New England days and a gorgeous setting for a wedding. 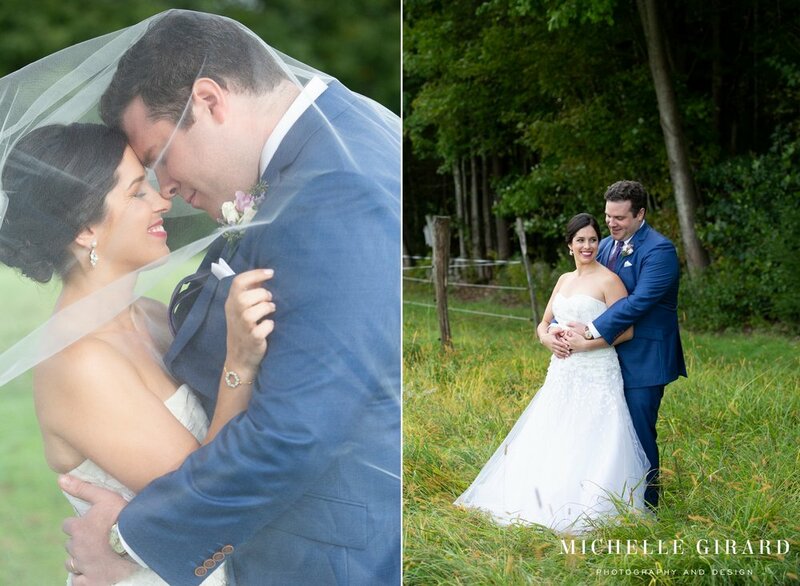 But what made the day truly magical was Charmaine and Stephen. It was their energy and love. It was hearing their story told at their ceremony and watching their friends and family listening, seeing their smiles, their laughter and their tears. It was the emotion in their vows. It was their connection, with each other and with those around them. It was the celebration and the dancing. And these two love to dance! Dancing is actually what really brought them together. They almost connected online actually, a funny piece of their story that was mentioned at their ceremony and in speeches, but that hadn’t panned out. But out at a gathering, Charmaine saw Stephen dancing and teaching a friend the steps. Her mom was even with her and commented on Stephen’s moves. And she was intrigued. How many guys have those moves? And he was so patient in teaching! That was the start of their love story. They connected after that evening and they took it slow at first. Eventually though they were introducing their pets and moving in together. And Saturday they were married! I feel honored to have been there to photograph these two on their wedding day. They are two incredibly genuine, sweet, and beautiful people. It makes me smile just writing about them here! Congratulations Charmaine and Stephen! 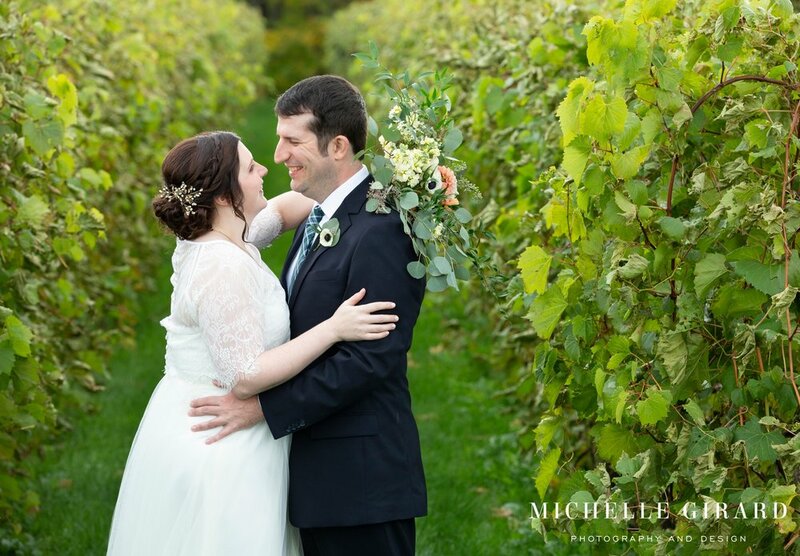 Hair styled by Crystal Vazquez & Co.
Saturday was a crisp Fall day at Valley View Farm. I drove up to see the horses in the pasture grazing on the grass, a green vintage truck parked outside, fire pits at the ready, and people inside the post and beam barn hustling to get all of the details in place. Everything looked like it was coming together for an incredible celebration for Hallie and Drew and this was all just the start! As the day went on it was clear that this wedding was all about family. It was about these two families coming together for Hallie and Drew and it was about Hallie and Drew starting their own family.. being each others person in that ‘official sort of way’. Family made this wedding. Very literally actually.. as they were married by Hallie’s father’s cousin as another cousin played the music during the ceremony. Big Green Truck Pizza, Hallie’s father’s company, made delicious and unique pizzas for their reception. If you haven’t had mashed potato and bacon on pizza, you really need to! Both Hallie and Drew wore family heirlooms. The reception included numerous heartfelt toasts from both families, as well as some truly original traditions. There was a telephone skit that included shoes volunteered from another guest as the ‘telephones’ and a funny and highly creative song set to the music of ‘Hallelujah” and song by a whole group piled around the microphone. On top of all of that, there was so much love. Hugs, tears, smiles, dancing, and cheers. It was a really unforgettable day. It was exactly the kind of day these two deserved. And even when I left, I got the feeling that there was still so much fun left to be had! 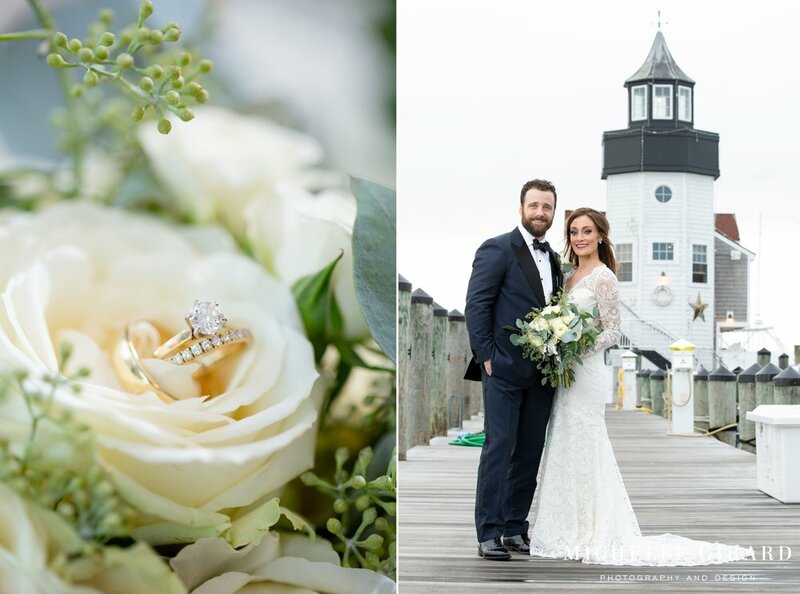 A classically beautiful bride, a dapper groom, a veil blowing in the wind, views of the ocean from New England docks in Old Saybrook, and that just-married-the-person-I-love-most excitement. Are you swooning yet? Because that’s just the start of how I’d describe Kelly and Michael’s wedding day. 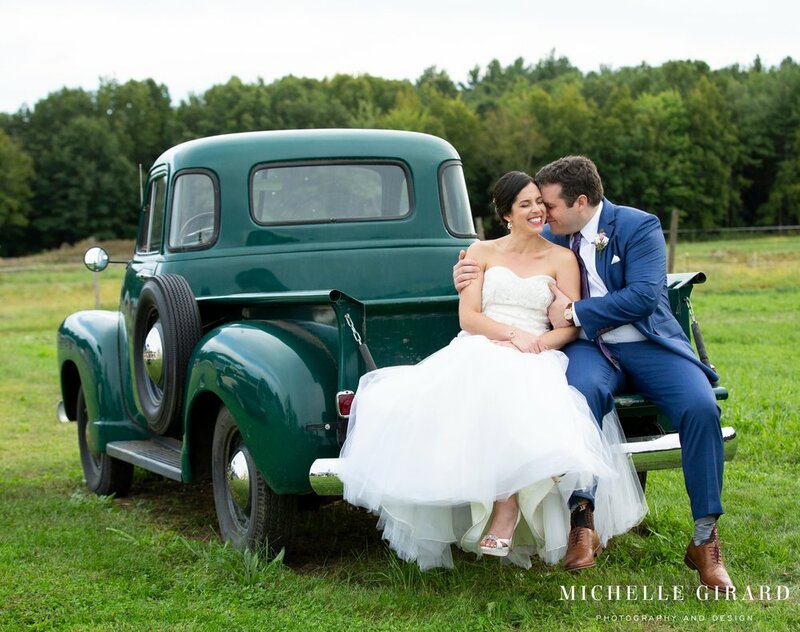 It all started with their ceremony at Christ the King Church, a place that means so much to Kelly, and Michael’s look of awe as his bride walked down the aisle toward him that day. 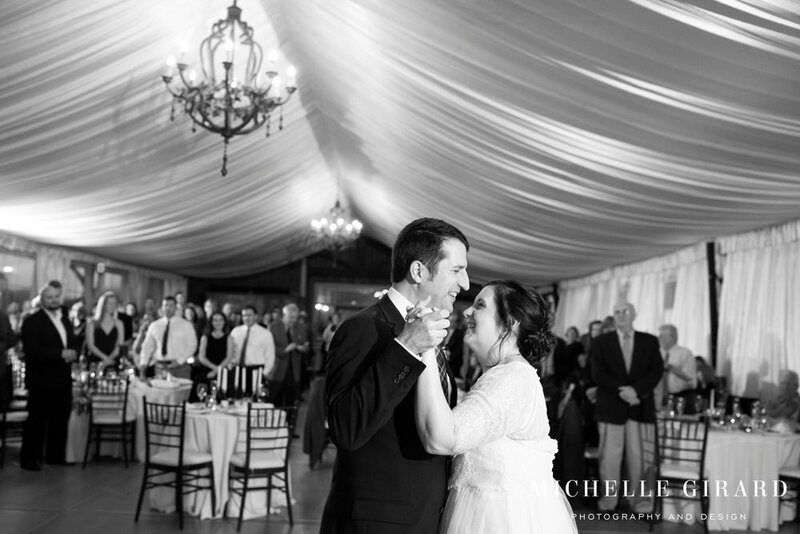 You could feel the love just in the way he reached for her hand as they faced toward the altar together. There they got to hear readings by those close to them, they exchanged rings, they stated their intentions, and they sealed it all with a kiss. 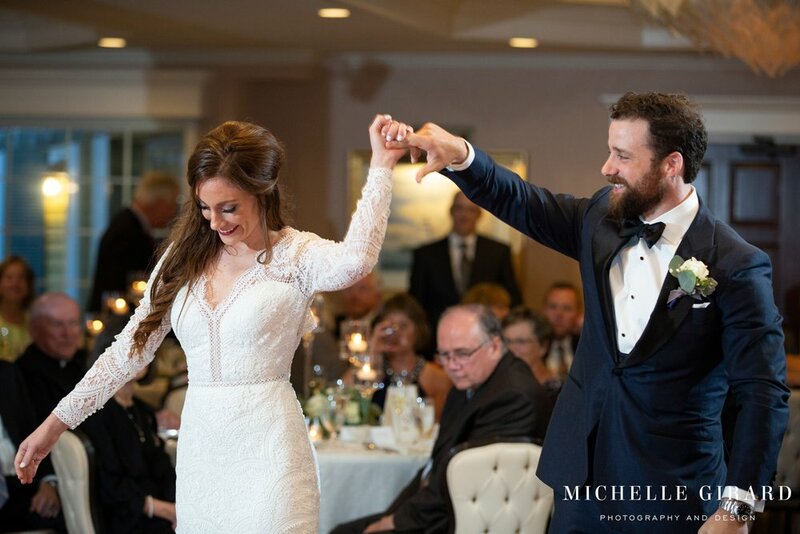 After they walked back down the aisle together, hand in hand, they were so ready to celebrate.. everyone was! The evening continued with portraits by the water, a first dance complete with twirls and a dip, touching toasts, some happy tears, big laughs, a sing along blessing, and dancing.. lots of dancing! 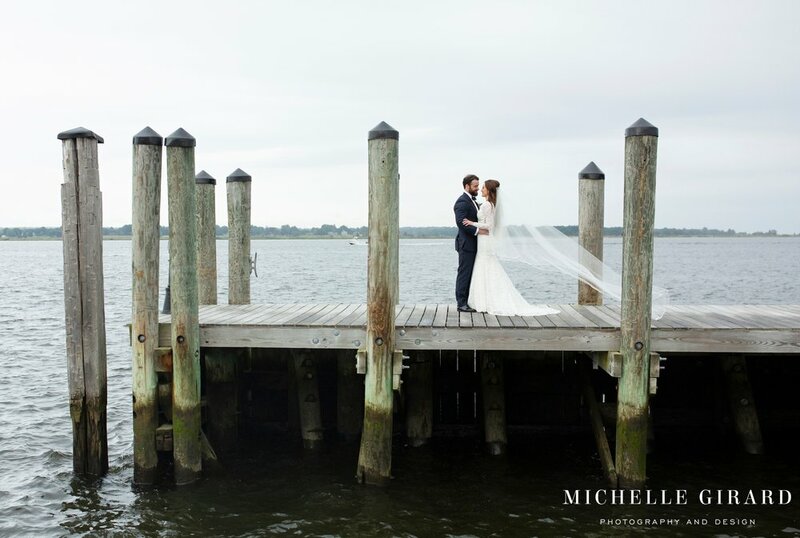 See some of it for yourself in their wedding day sneak peek below!